They are air adjustable (10 PSI to 100 PSI) and used to carry heavy loads with both safety and comfort. Larger American Utes and Heavy 4WDs are generally rated higher than 2.2 tonnes. 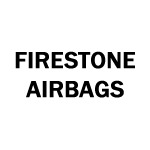 These kits are specifically manufactured to suit your vehicle.